New Rochelle, NY, April 8, 2019–In a simulated study, exposure to and maximum blood concentrations of two selective serotonin reuptake inhibitors (SSRIs) – commonly used to treat anxiety and depression in adolescents – differed depending on whether the teens modeled were poor, normal, rapid, or ultra-rapid metabolizers of the SSRIs. Caused by differences in the gene coding for cytochrome P4502C19 (CYP2C19), this information could inform SSRI dosing to optimize efficacy of the medications and minimize adverse effects, as reported in an article published in the Journal of Child and Adolescent Psychopharmacology, a peer-reviewed journal from Mary Ann Liebert, Inc., publishers. 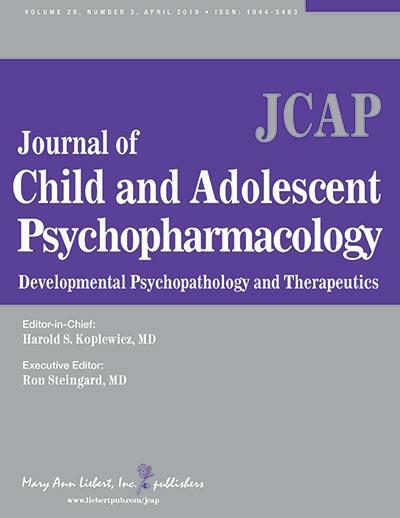 Click here to read the full-text article free on the Journal of Child and Adolescent Psychopharmacology website through May 8, 2019. “Anxiety and depression are the most common mental health disorders of adolescence. This study provides important insights for psychiatrists treating adolescents who are non-responsive to SSRI treatment,” says Harold S. Koplewicz, MD, Editor-in-Chief of the Journal of Child and Adolescent Psychopharmacology and President of the Child Mind Institute in New York.